After a stint as a television sportscaster, Pete returned to Disney in 1994. Over the next 13 years, he managed various areas of Disney’s theme parks and resorts, where he learned what it takes to run a world-class organization. Pete was blessed to spend a majority of his time working at the Disney University. While there, he led the Traditions program, which is known worldwide as one of the premiere employee orientation programs. 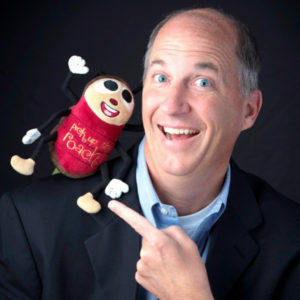 He also facilitated college level courses to thousands of Disney College Interns, and was a Segment Learning Manager for Walt Disney World, Disneyland Resort, and the Disney Cruise Line. Today, he works with organizations and associations all across the U.S., helping them achieve their goals in the areas of leadership, employee engagement and customer service. Some of his clients include DirecTV, Southern Company, LG, Regions Bank, and Coldwell Banker. Pete is a former President of the Birmingham Chapter of the Association for Talent Development (ATD), received the “2016 Learning! Champion Award” from Elearning! Magazine, and earned the Certified Speaking Professional (CSP) designation from the National Speakers Association. His first book is Employee Engagement: Lessons from the Mouse House. His next book, Pick Up the Roach! Why Great Leaders do the Little Things, is due out in 2019. Pete’s habit is writing down what he wants to accomplish the day before so that he is prepared. It’s important to take learnings out of everything we come across. You can learn both good and bad from your experiences if you open your eyes. Every company makes poor choices, even Disney, but 95% of the things Disney does daily are designed to help the customer and help the employee get better. Nothing is worse for an employee’s experience than having the rug pulled out from under them by a manager. Culture is tough to crack. Leaders must remove their blinders. True leaders can’t come to work with blinders on. They have to look at everything and think of how to change it. Leaders have to do more than expected. There are lots of bare minimum leaders out there, but a true leader must always be plus-ing up their experiences. Give people more than they expect. Put passion into an employee’s work so they know the why behind their job. Never stop learning. The day a leader stops learning should be their retirement day. Just because they’re a leader doesn’t mean they can’t improve. Can’t be leaders without followers. They have to connect the dots for the people and can’t assume people will just follow them. Check out Pete’s upcoming book Pick Up the Roach. Pete’s Points are also available on Alexa Skills and gives a daily motivational flash briefing. Share with us how you believe your mindset affects your life? Mindset is 100%. You have to be positive and think of the good in your life. What do you do daily to bring Energy into your life? His faith and family drive him and give him energy. He takes time for prayer and reading. Share the number one connection that has made the biggest impact on your life? Lisa, a supervisor of his at Disney taught him that you can have fun and be fun while also being professional in a managerial role. Define in one sentence or less, what legacy you want to leave on the world? He wants his legacy to be about his family and how he did his best and tried to help them grow to be good people.